Put a Roof Over Your Head. For Less. Interested in a complete log home package? Then you’ll be interested to know that of all major log home manufacturers, only Lincoln Logs includes a complete roof and truss system in all our basic packages. And Lincoln Log homes feature a lower total erected cost than any other major manufacturer’s comparable package. Why pay more for a log home without a roof? Find out more about Lincoln Logs’ complete log home packages. Write for your full color Lincoln Logs plans kit. Send your name, address and telephone number, with check or money order for $5.00, to the address on the right. Or call 800-833-2461 (in New York State call 518-494-2426). MasterCard and Visa accepted. Simple Log Home Living. For Less. 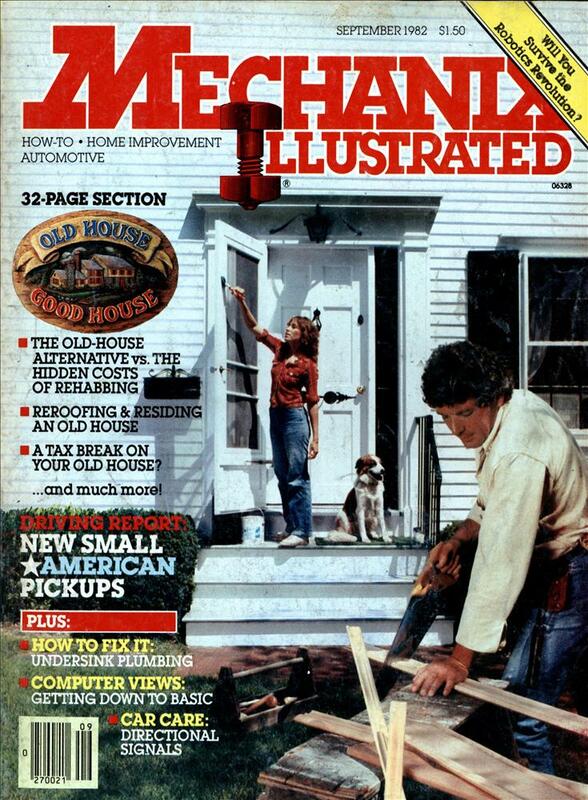 The Original Lincoln Logs Ltd. Wait, which came first, the toys or this home kit manufacturer? I know the toys were based on an actual style of house but I always thought the trade name “Lincoln Logs” only referred to the toy. John Lloyld Wright (Frank’ son) thought they were toys – he patented them, I think. I remember when this was the latest craze, they had news stories on it. I remember seeing one or two. Is this a tongue-in-cheek ad for the toy, or is this for real? Torgo: They’re for real. 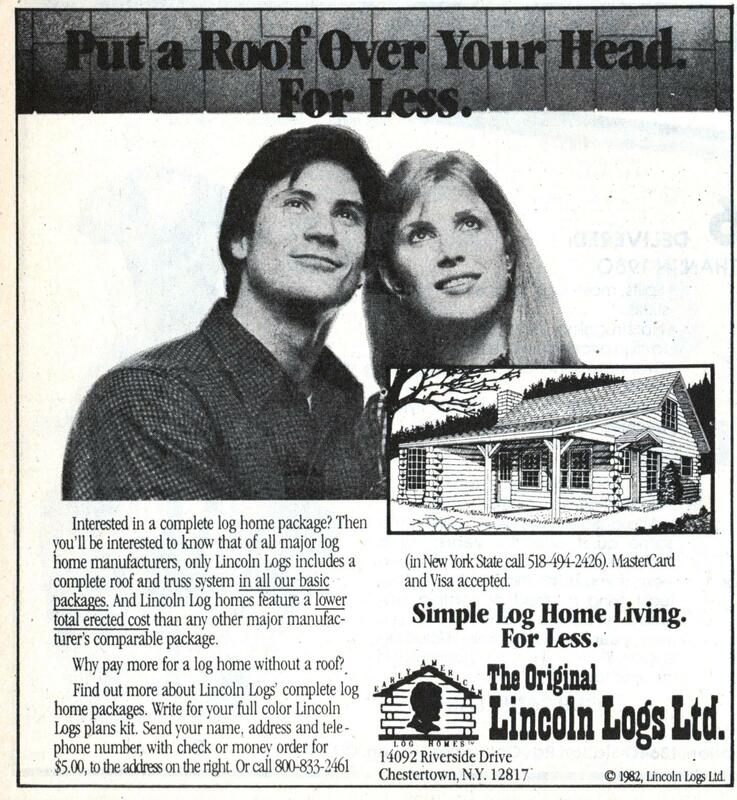 You can check them out at http://www.lincolnlogs…. As I said above, I remember seeing a few in NY state.